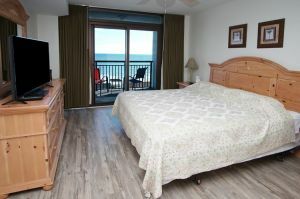 The waves appear to crash right outside your living room window when you vacation at Beachwalk Villas 204 in North Myrtle Beach, South Carolina. 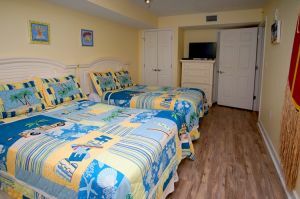 This three bedroom, three bath vacation rental has an oceanview balcony accessible from the master bedroom and the living room. 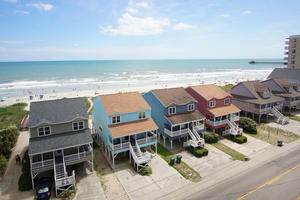 Watch the tide ebb and flow from the comfort of your North Myrtle Beach vacation condo and spy recreational yachts and commercial fishermen just offshore from Beachwalk Villas. 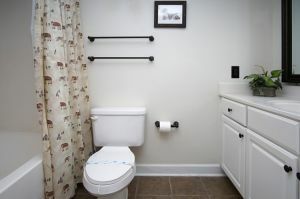 The kitchen of this North Myrtle Beach vacation rental is most accommodating as it is well equipped so you can do more than keep your drinks cold when you vacation here. 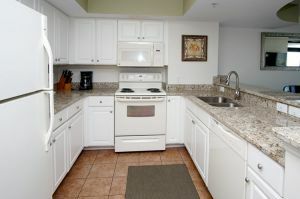 Full-size appliances, plenty of counter space and a terrific view make spending time in the kitchen a joy, even though you are on a North Myrtle Beach vacation. 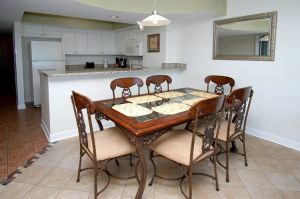 This Cherry Grove vacation condo features a Jacuzzi tub, WIFI, DVD players and a washer/dryer. There is even a Playstation 2 for the whole family to enjoy in this vacation rental. Right across the street from Beachwalk Villas 204 is the oceanfront swimming pool. 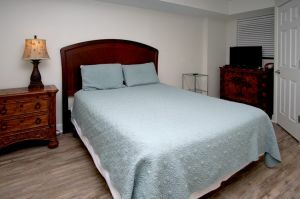 Take your book and relax under the Myrtle Beach sun or take your beach towel and lay out on the beach which is just steps away from the pool deck of this resort. An indoor hot tub is an appealing resort feature and an indoor swimming pool means you can play in the shade when you vacation at Beachwalk Villas 204 in the Cherry Grove section of North Myrtle Beach, South Carolina. 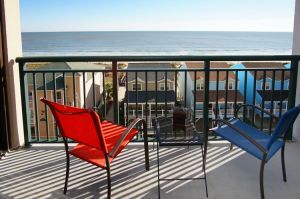 North Myrtle Beach golf courses, seafood restaurants, live entertainment theatres and waterfront shopping venues are right around the corner from this oceanview resort.